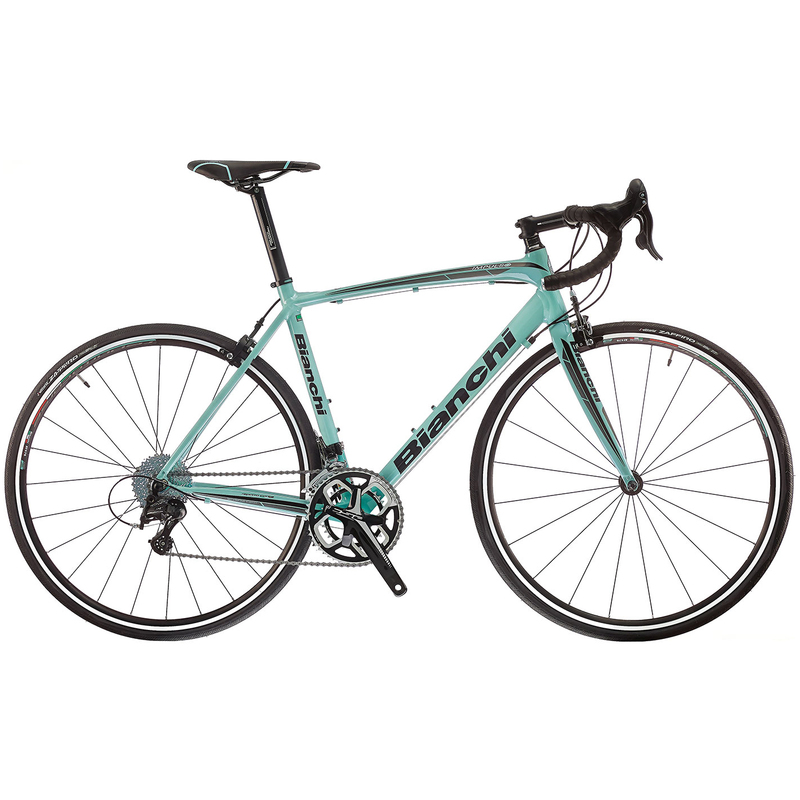 The Bianchi Impulso road bike features endurance-race geometry that inspires confident bike-handling combined with a relaxed position that allows you to generate power and speed. The lightweight triple hydroformed aluminum frame delivers stiffness and responsiveness when you get out of the saddle to accelerate while K-VID technology in the carbon fork with alloy steerer yields vibration dampening and UTSS (Ultra-Thin Seat Stays) at the rear of the bike helps to isolate you from the potential for unwanted road vibration. A stunningly beautiful piece of machinery in what has to be the finest livery, and purchased with a healthy discount, which is a rare thing in Bianchi world.Miss the opportunity to own one at your peril! Bike arrived well set up, in spotless condition, on the day Merlin Cycles said it would. What more can you ask for?